Have you ever been so tired that you slept at a place you shouldn’t be sleeping in, then suddenly wake disoriented and unsure of where you are or what to do next? LOL. That’s a funny dilemma at times, such as what happened to a very tired kid who fell asleep in school and end up wearing the chair as backpack when he wakes up. 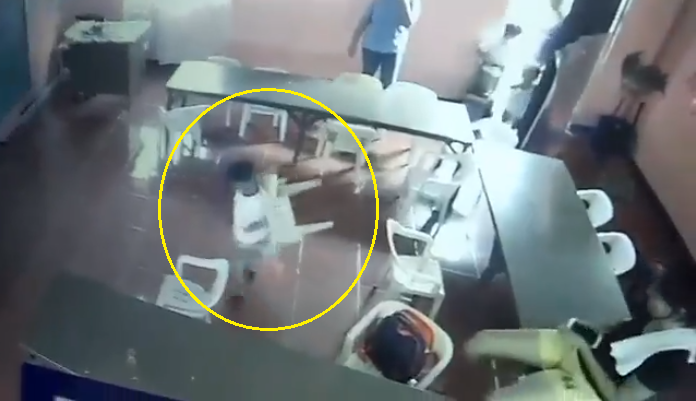 In a video that has gone viral on social media, the interior of a classroom was seen in full view. It was obviously dismissal time as several students could be seen lining up at the side with their backpacks up. They were ready to go home. But one student was left in his place. 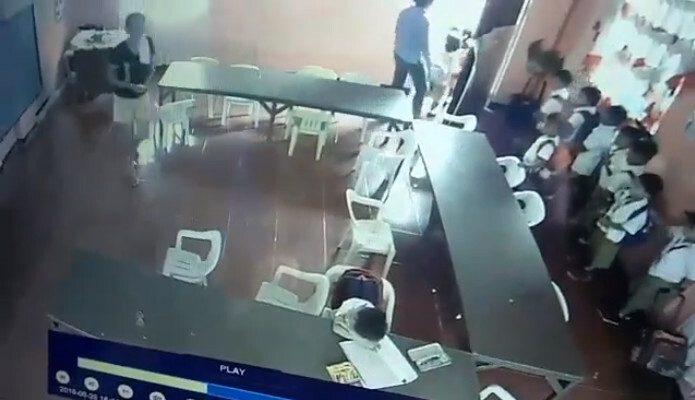 The poor kid had fallen asleep while copying notes from the board and the teacher didn’t have the heart to wake him up. As the other students went out, a woman who appears to be his mother entered the room and put his things back in his bag. The kid awoke all of a sudden and was clearly unsure of what’s happening but realized he was about to go home because his classmates were already out of the room. His mother was still busy arranging the things in his bag when the kid got up. Out of habit, he knew he had to bring his backpack out of the room; thus, he picked it up and began putting it on his shoulders. What he didn’t realize is that the ‘backpack’ he wore was actually a chair! LOL. In semi-asleep mode, the kid walked towards the door, completely unaware that he had a chair backpack. Netizens couldn’t help but smile at this young kid’s mistake, knowing he was really just too tired with his school work.